You are at:Home»December»December 21»December 21, 2012: The End of The World! December 21, 2012: The End of The World! On December 21, 2012, people across the globe waited for the end of the world! Of course, we know the world did not end then, but why did so many people think it would? Digging deeper, we find the roots of this “prophecy” in the Mayan calendar. A date inscription in the Maya Long Count on the east side of Stela C from Quirigua showing the date for the last Creation. It is read as 13.0.0.0.0 4 Ajaw 8 Cumku and is usually correlated as 11 or 13 August, 3114 BC on the Proleptic Gregorian calendar. The date of 13.0.0.0.0 4 Ajaw 3 K’ank’in is usually correlated as 21 or 23 December 2012. The Mayan civilization not only made impressive pyramids and other buildings, but also was observant of astronomical phenomena and based a long term calendar cycle on those observations. In the cycle that was computed, the last date was December 21, 2012. Many people since then have taken that to mean somehow the Mayans “knew” the world would end at that time, hence a 5000+ year calendar with what appears to be a definitive end. 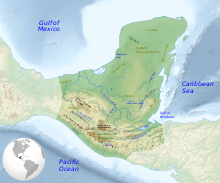 The great Mayan civilization disintegrated sometime before the Spanish explorers found the ruins, perhaps just before the arrival of the Conquistadors. Actually, December 21, 2012 is only the end of that cycle, and apparently the reason the Mayans did not plot another cycle is that it was so far in advance that there was no immediate need to do so. Many other persons ignored the scientific evidence that this calendar held no doomsday prediction, and that modern astronomy indicated no pending disasters, and a wide and diverse collection of people across the globe came up with all sorts of unsupported ideas about how the world would end and justification for believing that. 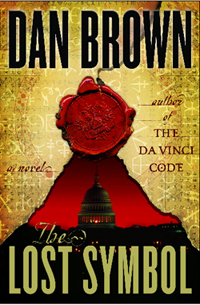 Dan Brown’s The Lost Symbol, featured a coded mock email number (2456282.5) that decoded to the Julian date for 21 December 2012. Some of these die-hard conspiracy theorists postulated that rather than an abrupt end of the world, December 21, 2012 would instead be a milestone date when the beginning of the end would commence. Related doomsday prophecies allegedly “confirmed” the Mayan “prophecy” and many people were too willing to follow the doomsayers and ignore the scientists. In any case, the world did not end and no substantial disaster occurred to make us think doomsday was coming soon. Again, this happy outcome did not stop many people from turning every little event that did occur as a “sign” or omen that the prophecy is true and is unfolding right before the unbelieving eyes of the skeptics! Question for students: How do you think the world will end? Please let us know in the comments to this article. Next Article December 22, 1984: Subway Passenger Shoots Muggers!